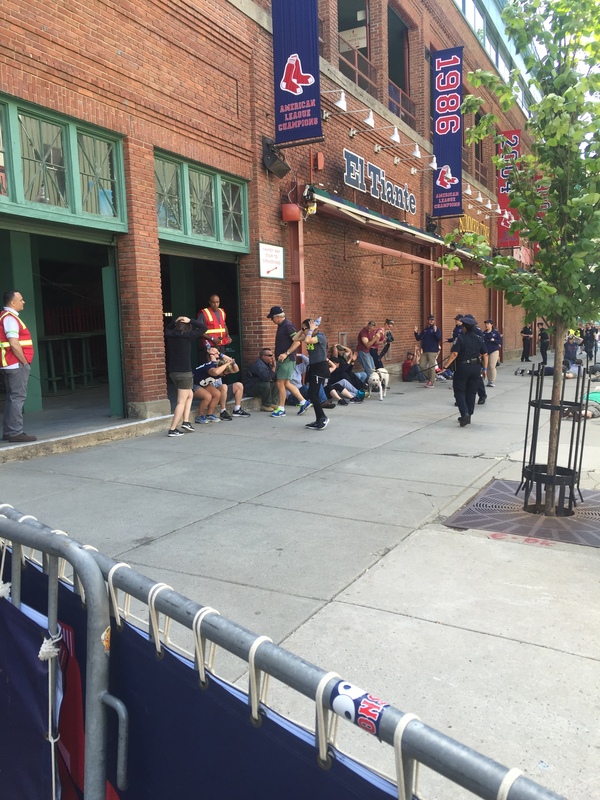 The Boston Police Department held a Full Scale Complex Operating Environment Training Exercise, hosted by the Boston Red Sox at Fenway Park on June 12th 2016. 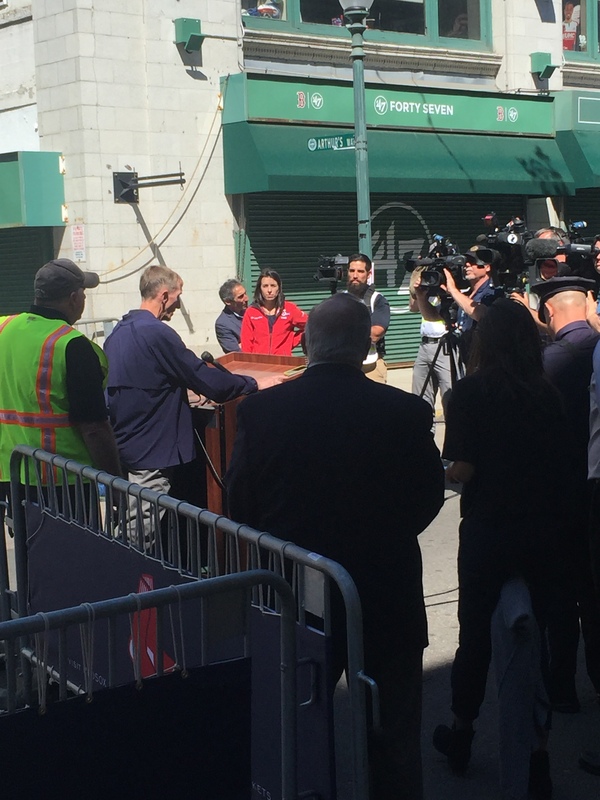 This was a free play force on force exercise that involved hundreds of participants and collaborative effort between the Boston Police Department, the Boston Red Sox, the department of Homeland security-Science and Technology and the United States Army Armament Development, and Engineering Center. My Chief John Carmichael and I were guest observers, along with at least, one hundred others. There were numerous lesson learned. The exercise focused outcomes were intended to assess an emergency response to a realistic scenario that involved a complex terrorist attack, as well as to showcase several emerging security technologies. The exercise ran for 4 hours creating a fluid and engaging learning environment, participants, including volunteers playing victims were always in a situation conducive to the development of personal initiative, team work and adaptability. Everyone took an active role in the full scale exercise. Free play exercises were used and courses of action were critiqued and new courses of action developed. This was repeated at least three times and consisted of learning how to evaluate themselves and their peers during the exercises. 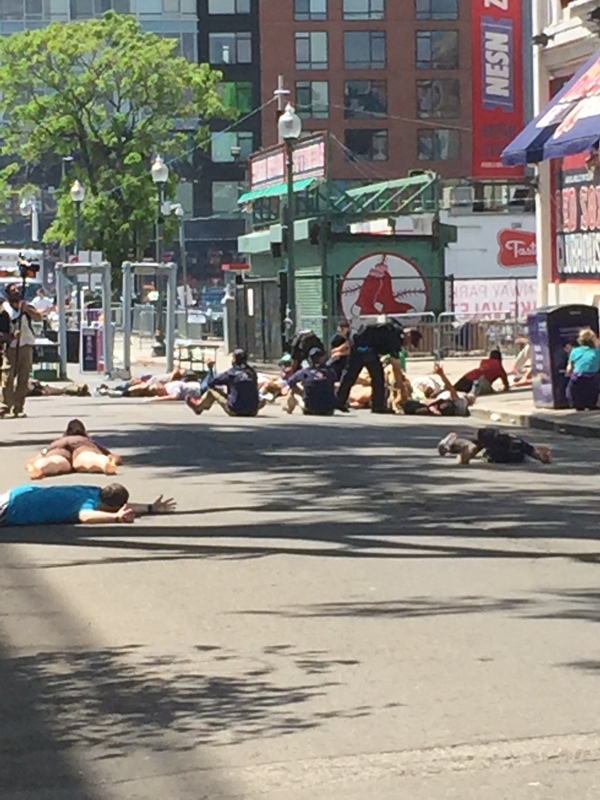 The “full scale” training exercise featured police playing the roles of both attackers and response teams, according to a handout of the event. Along with the fake explosions and gunshots, the security test may also include the use of dogs, drones, and metal detection. A large number of role players from the public participated and asked to execute “run” and “hide” protocols and to simulate casualties. Those role players were “moulaged,” or made up with fake injuries, which added to the realism. Boston Fire Department was also on board and engaged in emergency medical triage and recue. I could observe the confidence, trust, respect and understanding developed throughout the exercise that enables officers too honestly; effectively and critically evaluate themselves and their peers via the after action review process. Conducting effective AARs is also a great way of promoting an adaptive culture, helping disseminate knowledge, experience and hard-won lessons throughout the organization and encouraging the faster and more effective decision making and action we aim to deliver in crises. Learning through tactical decision exercises especially full scale free play force on force builds strength of character in leaders, teaching them how to think rather than the classical approach using “process” and “task” training methods that attempt to teach leaders “what to think”. Adaptive challenges (terrorist attack) are difficult because their solutions require people to change their ways. Unlike known or routine problem solving for which past ways of thinking, relating, and operating are sufficient for achieving good outcomes, adaptive work demands three very tough, human tasks: figuring out what to conserve from past practices, figuring out what to discard from past practices, and inventing new ways that build from the best of the past. After all making an effective change to an altered situation is what adaptability is all about. I observed and so did my Chief and others we conferred with throughout the exercise, adaptive decision making taking place today during the full scale exercise. Thanks to Boston Police Department specifically Deputy Superintendent Colm Lydon for inviting us in.